Jio extended the triple cashback offer’s validity from November 25 to December 15. Jio Prime users will receive cashback of upto Rs 2,599 on recharging their Jio connection with Rs 399 and above recharge plans. Reliance Jio is extending the validity of its recently announced triple cashback offer till December 15. The offer was exclusive to Jio Prime subscribers and November 25 was previously specified as the last day for availing the offer. Users will be able to get triple cashback of up to Rs 2,599 on recharging their Jio connection with recharge plans of Rs 399 and above. Under the triple cashback offer, Jio subscribers will receive 100 percent cashback worth Rs 400 in the form of Jio vouchers. However, the vouchers will be credited to users in the form of Rs 50 vouchers, over a period of 8 months on the MyJio app. Users will also get an instant cashback of up to Rs 300 while paying for the recharge with any of Jio’s select partner wallets like Amazon Pay, Mobikwik, PayTM and PhonePe. As aforementioned, the recharge must be of Rs 399 or higher. Apart from the Jio vouchers, Jio Prime users will also receive vouchers from the company’s e-commerce partners worth Rs 1899. Users will receive Rs 399 off on minimum transaction of Rs 1500 on Ajio.com, and a Rs 1000 and Rs 500 off on all round-trip and one-way domestic flight tickets booked through yatra.com respectively. Also, Jio Prime members can avail a discount of Rs 500 on purchases worth Rs 1999 and above on reliancetrends.com. The cashback and vouchers can be used immediately. 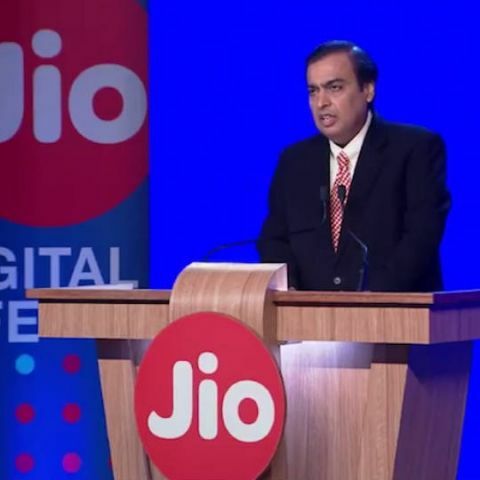 Reliance Jio has reportedly resumed sales of the JioPhone for their customers who pre-booked the feature phone in August. As per the report, the company has sent messages with an attached link to buyers who pre-booked the device but weren’t delivered with the phone. The link is said to display a code, which can be showed at any Jio outlet to receive the JioPhone.